As fans look forward to the first Star Wars movie in 10 years, companies such as LEGO are rolling out exciting new Star Wars items that will surely show up under numerous Christmas trees. The new Star Wars movie will mark the return of beloved characters from the original trilogy, including Luke Skywalker, Princess Leia and Han Solo. Familiar air craft such as the Millennium Falcon will also appear. Who knows, maybe a Skyhopper will even show up. 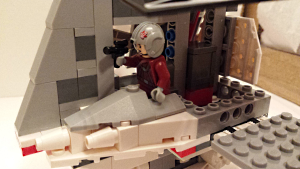 I received a demo set of the 247-piece LEGO Star Wars T-16 Skyhopper kit for review purposes, and kids and adults alike can have a ball putting it together. The completed T-16 Skyhopper is fun to play with and attractive for display in a case or on a shelf. 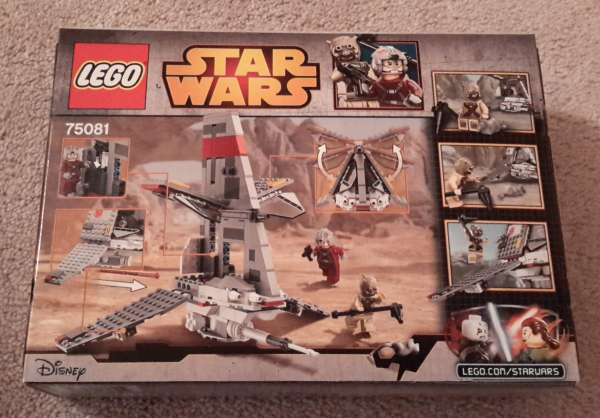 You can pick up the LEGO T-16 Skyhopper kit for about $24.99 at major retailers. In the original Star Wars movie classic, now called “Episode IV: A New Hope,” you can see Luke playing with a model T-16 Skyhopper, and a T-16 appears in the background on the family farm. 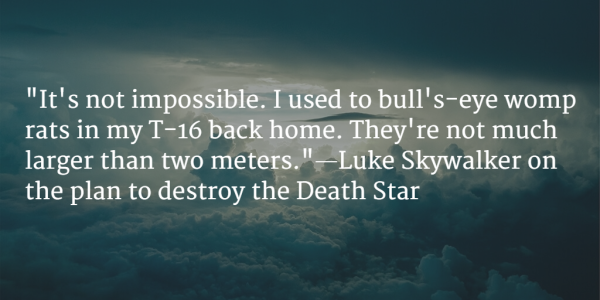 Later in the film, Luke mentions that he used to bullseye womp rats with his T-16 back home on Tatooine, and he apparently learned his piloting skills from flying the family’s T-16. In “Star Wars Episode II: Attack of the Clones,” Owen Lars owns an earlier model of the Skyhopper. The Star Wars Wiki describes T-16 Skyhoppers as airspeeders which operated within a planet’s atmosphere and were used for utility or pleasure crafts. Racers and bush pilots used them in the Outer Rim Territories. 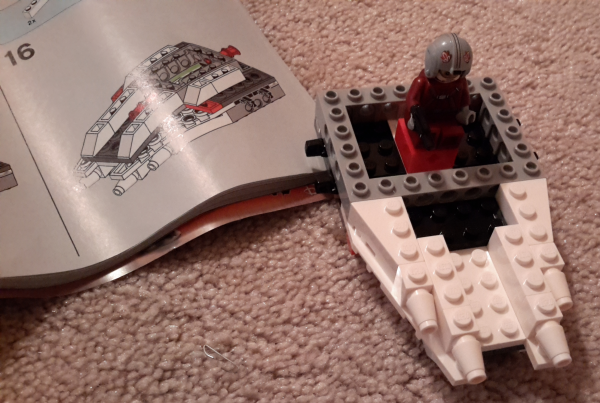 The LEGO Star Wars T-16 Skyhopper kit comes with outstanding illustrated instructions, which is typical of LEGO kits. It features a nice selection of typical and non-standard LEGO blocks. The LEGO T-16 Skyhopper kit suggests an age range of 7 to 12, but kids on the lower end of that scale will probably need help unless they’ve got significant LEGO kit building experience under their belts already. 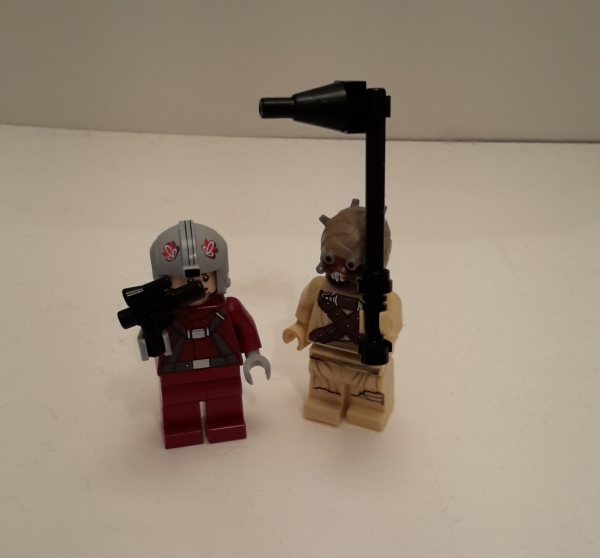 My younger daughter, who is just shy of 6 years old, wasn’t much help with the construction process, but she absolutely adores the included mini-figures – a pilot whom we’ve decided is Luke Skywalker, with blaster, and a sand person (Tusken Raider), with gaffi stick. She also enjoys playing with the completed T-16 Skyhopper. 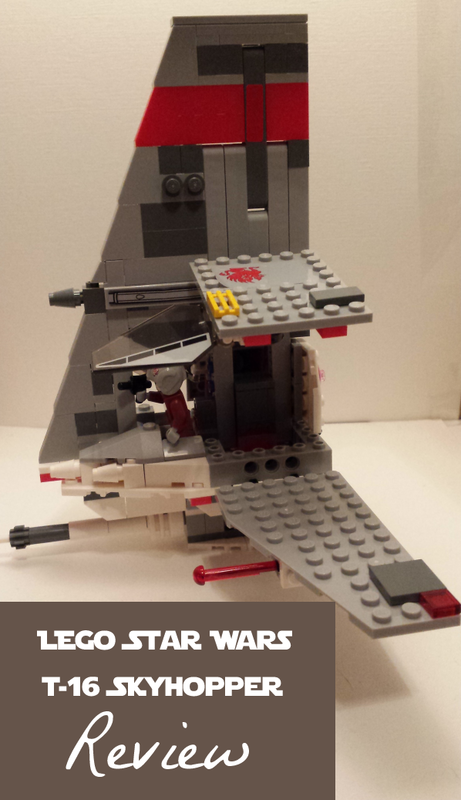 The T-16 Skyhopper LEGO set was great fun to put together and looks fantastic as a completed project. It measures around 7 inches high, 7 inches long and 10 inches wide and features adjustable wings and detachable storage box. Plus, it boasts spring-loaded shooters for aiming at the included womp rat. 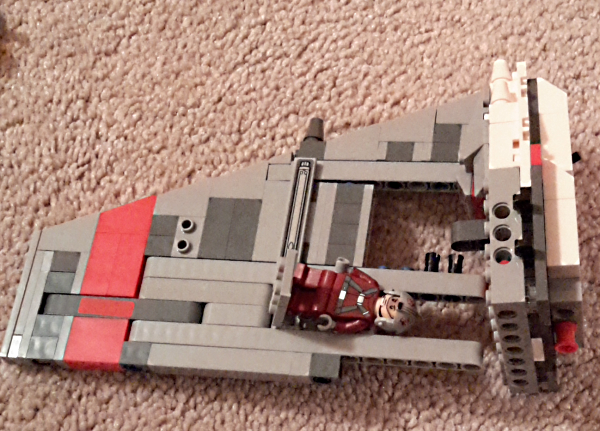 LEGO-loving Star Wars fans are sure to enjoy constructing the LEGO T-16 Skyhopper set. Read more of my LEGO posts here. What are you favorite things to build with LEGO blocks?